From 1855 to 1938 Paris was served by an extensive tramway network, predating the metro by nearly a half-century. The last of these first generation tram routes, to Versailles, was closed in 1957. 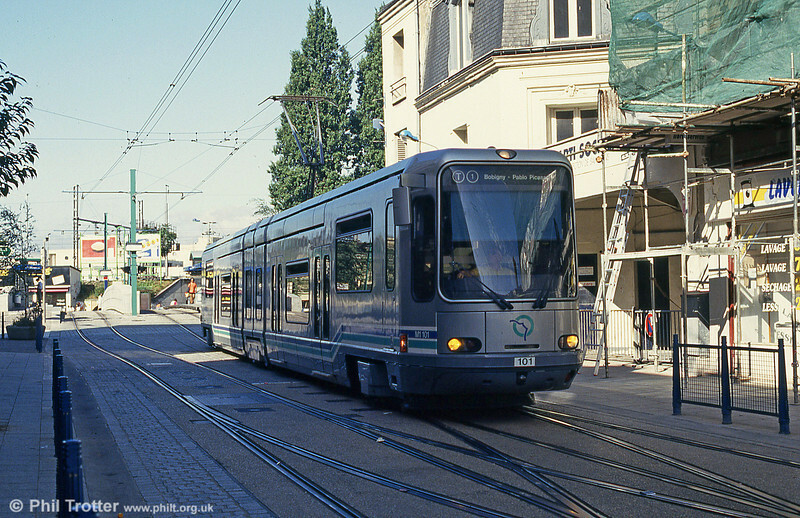 The first of a new generation of trams in Paris, line T1 opened in July 1992, with line T2 opening in July 1997. Paris line T1 car 101 at St. Denis terminus on 6th August 1993.